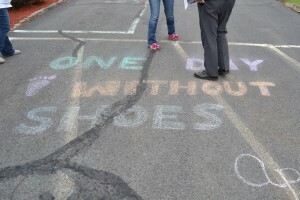 Employees from Penn Foster took part in A Day Without Shoes, a nationwide event created by TOMS, a for-profit business (with a social mission). TOMS is not able to accept donations, so they encourage others to send donations to an organization working to improve children’s health and education. Penn Foster chose to donate the money raised to Angel’s Attic, United Neighborhood Centers of Northeastern Pennsylvania’s emergency food bank for families. Penn Foster employees paid for the privilege of going barefoot or wearing flip flops for the day. Conceived by President, Joe Gagnon, and arranged by communications director, Alysia Scazafabo, the event raised $400 for the food bank. The money will be used to purchase fresh meats, fruits, and vegetables. 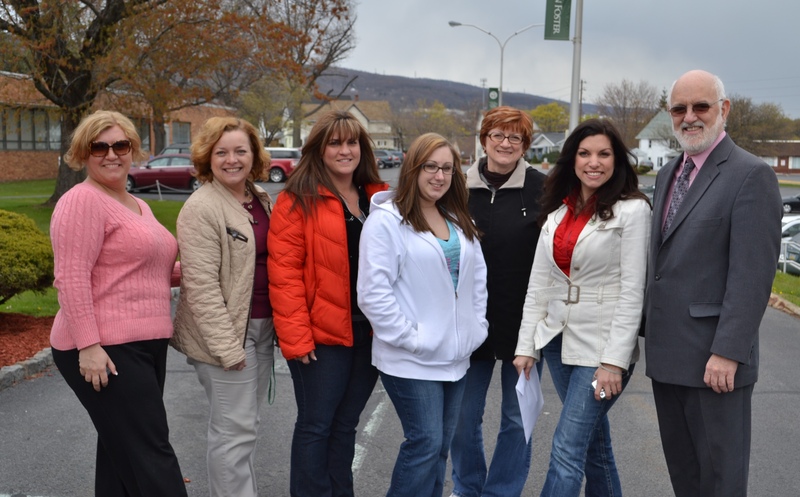 Fifty employees participated in a one mile walk around the perimeter of the building. “This type of fundraiser is not only fun for employees, but makes an impact on the families served by UNC’s food bank, allowing us to purchase fresh food in addition to the boxed and canned goods we have in the food bank. It helps to better meet the nutritional needs of those who are hungry”, said Michael Hanley, Executive Director of United Neighborhood Centers.